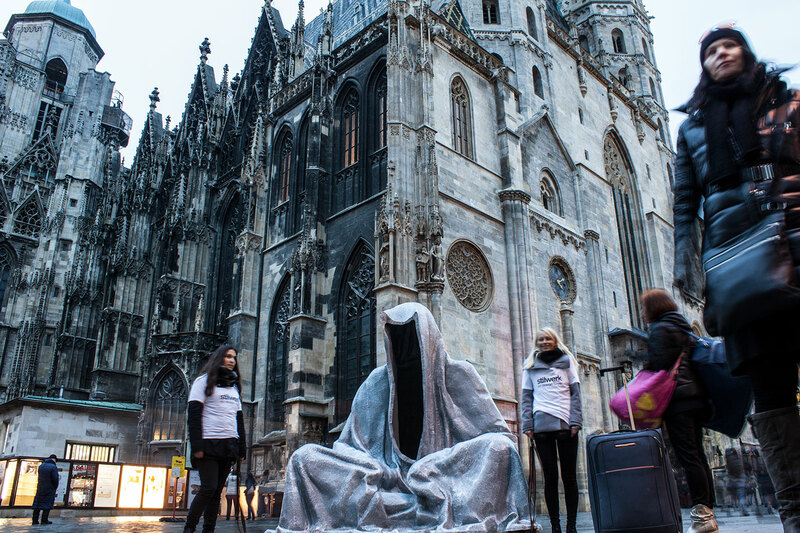 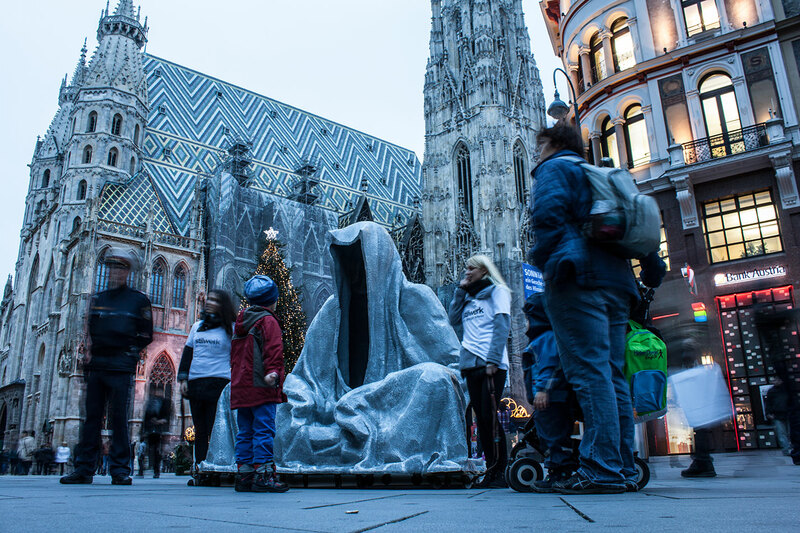 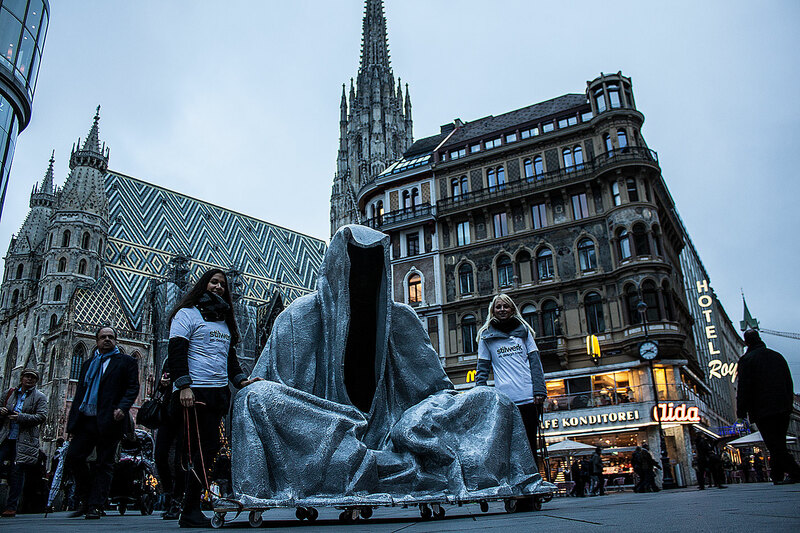 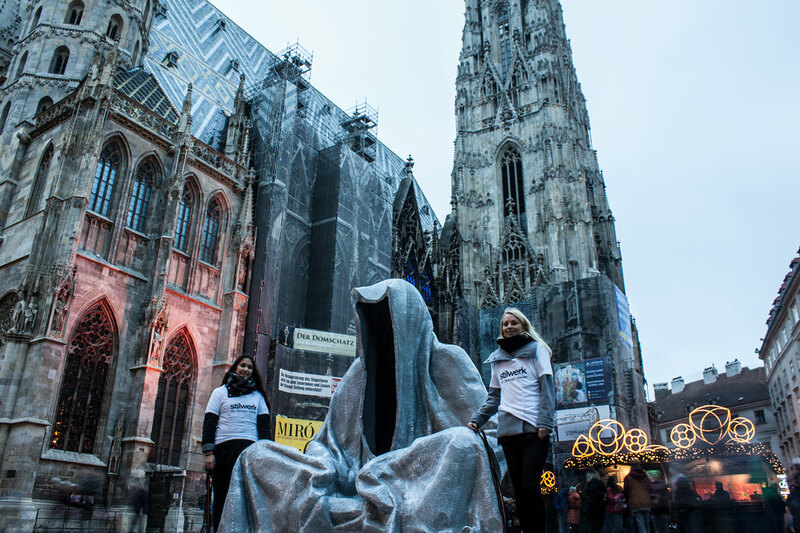 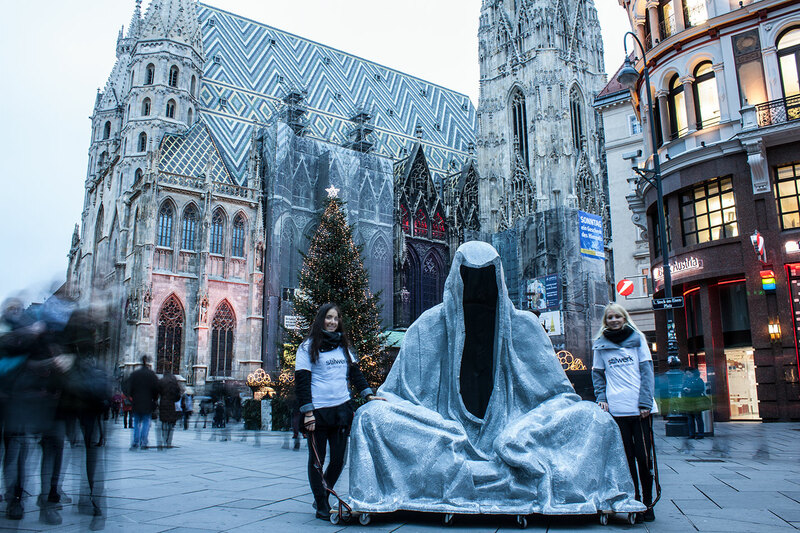 Manfred Kielnhofer’s big Guardien of Time goes to: Graben – St. Stephen’s Cathedral – Schwedenplatz – STILWERK WIEN. 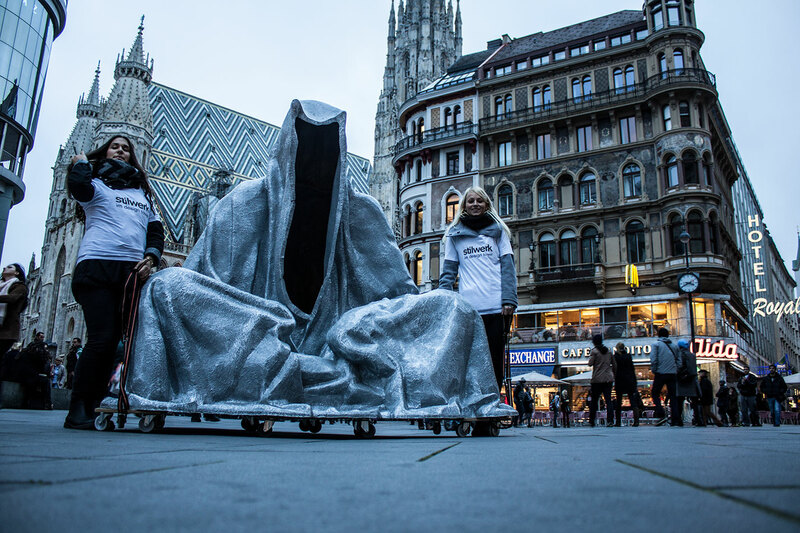 D’ou venons nous? 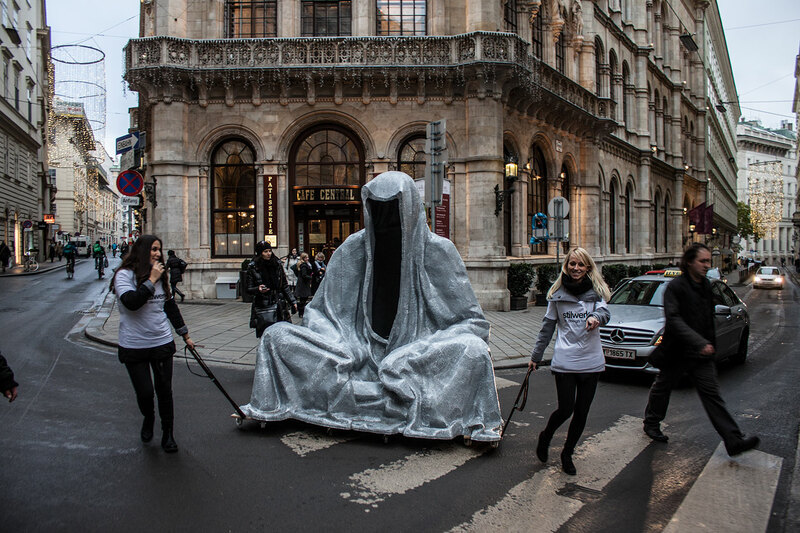 Où allons nous?